While Thanksgiving is the traditional American Holiday – one which we love – we have to admit, we cannot wait for Black Friday and Cyber Monday! Black Friday and Cyber Monday 2018 promise to be HUGE shopping days! For many, these days signify the start of the holiday season. We all know there are deals to be had. Keep reading to learn more! Recognized as one of the busiest shopping days of the year, Black Friday has become somewhat of a tradition in the United States. It is DEFINITELY a tradition in South Florida. In fact, several of us at The Wilson Group are planning some serious Black Friday shopping this year. This is critical. First, every store has different hours and specials often correspond to specific times of the day. Have you ever heard of “door busters”? 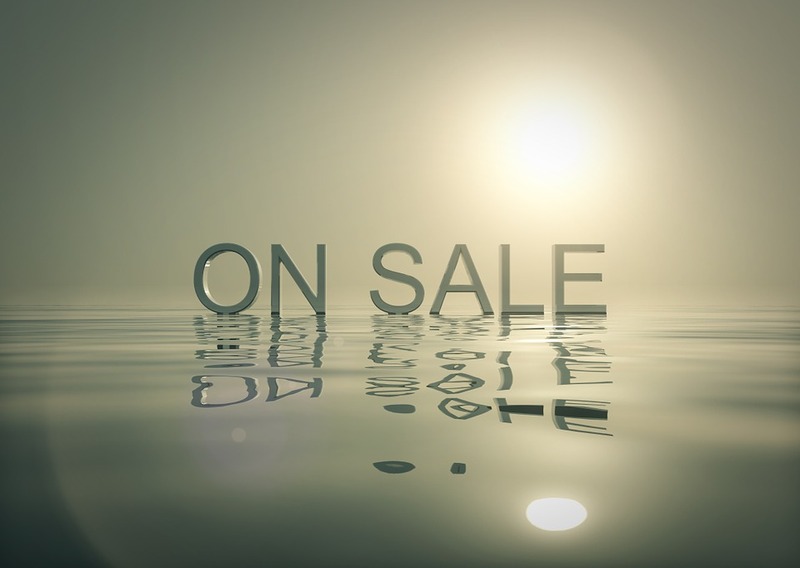 These are deals that are offered early in the day, for a specified amount of time. They draw in the crowds. So, if your shopping list contains “door buster” items, it makes sense to visit during the shopping window. Second, knowledge is the key to planning your holiday shopping. DealNews.com is a great site for information on Black Friday; it even links to many advertisements. It’s definitely worth a visit. Bookmark it; you’ll want to return for new info! Many large retailers have already released their Black Friday ads. Since most of the stores have a strong local presence, we thought we’d share information on some of them here. Target: Located throughout Broward County, Target Black Friday deals are fantastic! The link above shares information on Target specials. So, keep your eyes open for great deals on TVs, Fitbits, Instapots and lots of toys. And, how is this for a fantastic deal? They are offering free two-day shipping between November 1st and December 22nd! Thus, you can shop online, at your convenience. Finally, Target stores will be open on Thanksgiving Day from 5:00pm – 1:00am. Doors open on Black Friday at 7:00am. Walmart: Next is another big retailer with a significant local presence. Walmart has been planning for Black Friday for quite some time. (A link to their specials is also found on the BlackFriday.com site!) This year, deals can be found on toys, electronics and gaming systems (among so many other things). On Thanksgiving, Walmart will open its doors at 6:00pm. They will remain open through the local closing times on Black Friday! Wow, that’s a lot of hours of non-stop shopping! Kohls: This department store operates both as an anchor store for indoor shopping malls as well as a stand alone business. Well-known for always offering some special sales, Kohls Black Friday deals (again, on BlackFriday.com) are something special. Check this out! Kohls has DOOR BUSTERS that include special deals on Fitbits and Instapots. Finally, open 5:00pm on Thanksgiving, these stores will remain open until close of business on Friday! Macy’s: Well, it wouldn’t be a Black Friday article if we didn’t share a little about Macy’s. In fact, Macy’s was the first store to actually have a Black Friday sale! This year, stores will be open on Thanksgiving from 5:00pm to 2:00am and will reopen on Friday at 6:00am. And, they don’t close until 10:00pm (with door busters until 1:00pm)! Please go online and check out some of the amazing deals this year. Purses, watches and apparel are among the items at which you should look. Obviously, we cannot list every single store and their sales here; but BlackFriday.com is an excellent resource for advertisements and hours. Check it out and set a plan for your Black Friday shopping. Of course, local malls also have expanded hours for the holiday. 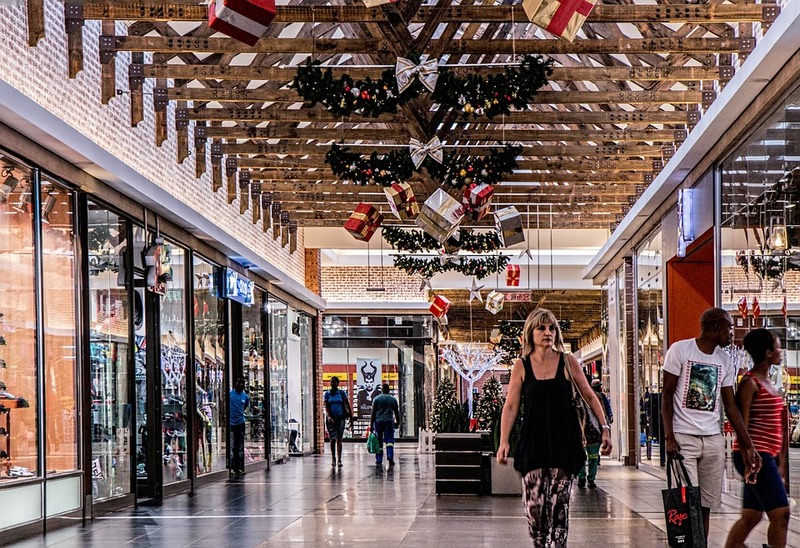 Obviously, the opportunity to visit multiple stores in a single location can be a very efficient way to shop. 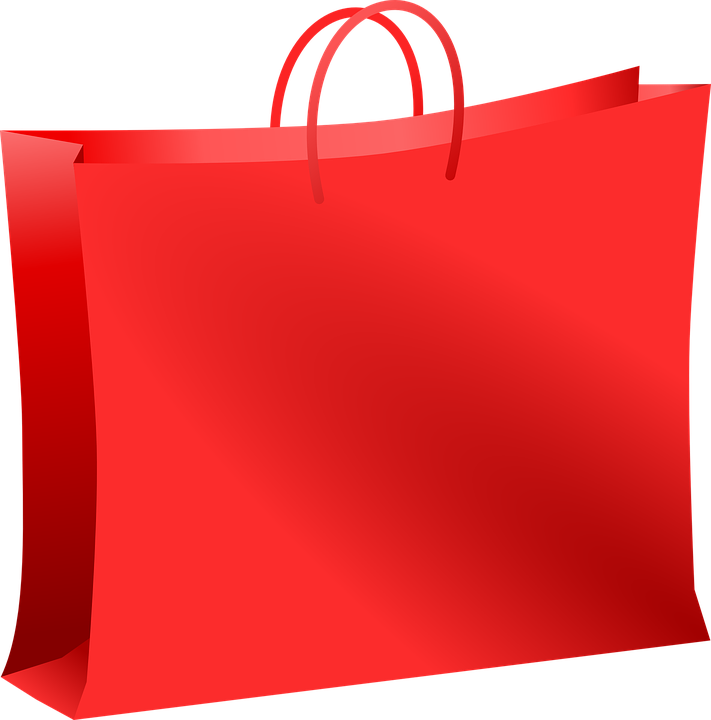 Check out our list of some popular, local shopping malls along with their hours for the holiday. This large outlet center features hundreds of stores and is historically a very busy location Thanksgiving weekend. This year the mall will open on Thanksgiving at 6:00pm and offer 27 consecutive hours of shopping pleasure! Located in Fort Lauderdale, the Galleria Mall will be closed on Thanksgiving Day. They will reopen on Black Friday at 8:00am. This calendar shares their daily hours. Note, anchor stores, like Macy’s, may offer extended hours; you should call to confirm. This mall, located in Pembroke Pines will open on Thanksgiving Day at 6:00pm and will close at midnight. Their Black Friday hours are 6:00am to 9:00pm. This mall in Plantation has published a calendar sharing their holiday hours. They have a long shopping day planned for Black Friday with hours from 8:00am – 9:00pm. Certain stores may have hours that differ; you should confirm prior to shopping. Shopping is exhausting, we know that for a fact! Consider taking a break mid day (your mid day may be at 10:00am if you started early!!) and grab a cup of coffee at one of our favorite local shops. Remember, November 26, 2018 is officially Cyber Monday. 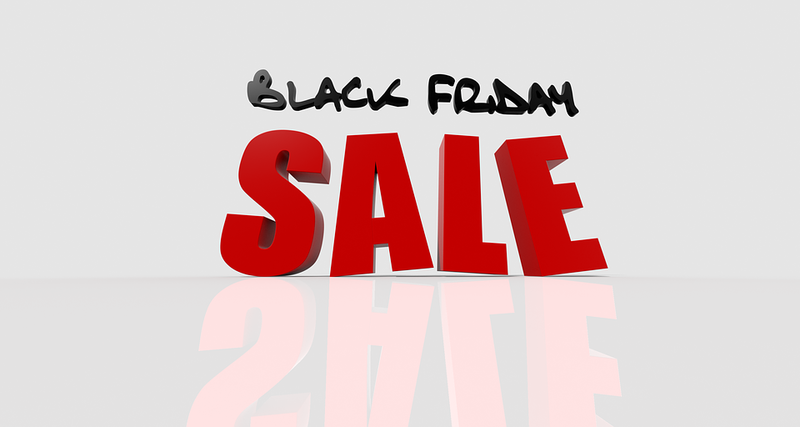 First, this means that you will have the opportunity to purchase anything you were unable to buy on Black Friday, on-line. Also, it means you can shop from the comfort of your own living room. 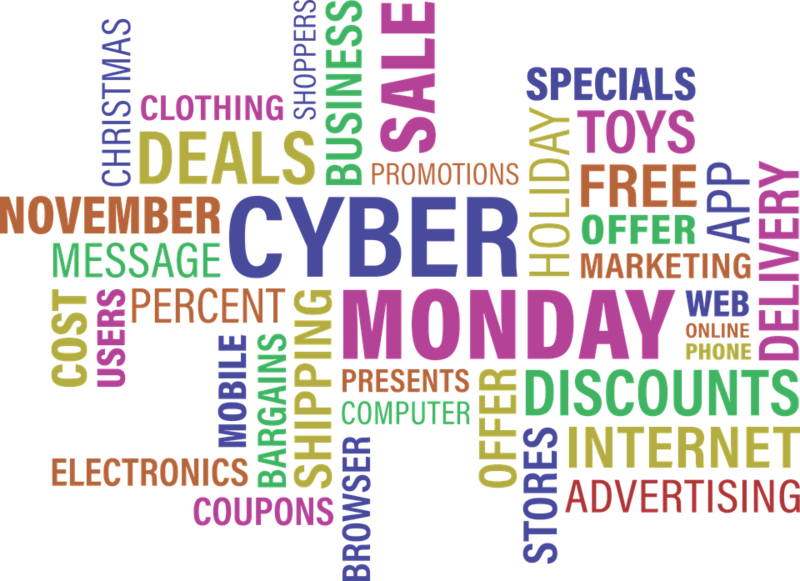 As people have grown more comfortable with the internet, shopping on Cyber Monday has become more popular. In fact, many people do all of their holiday shopping on-line. Consider this, there are no crowds and no lines. Not a bad deal! 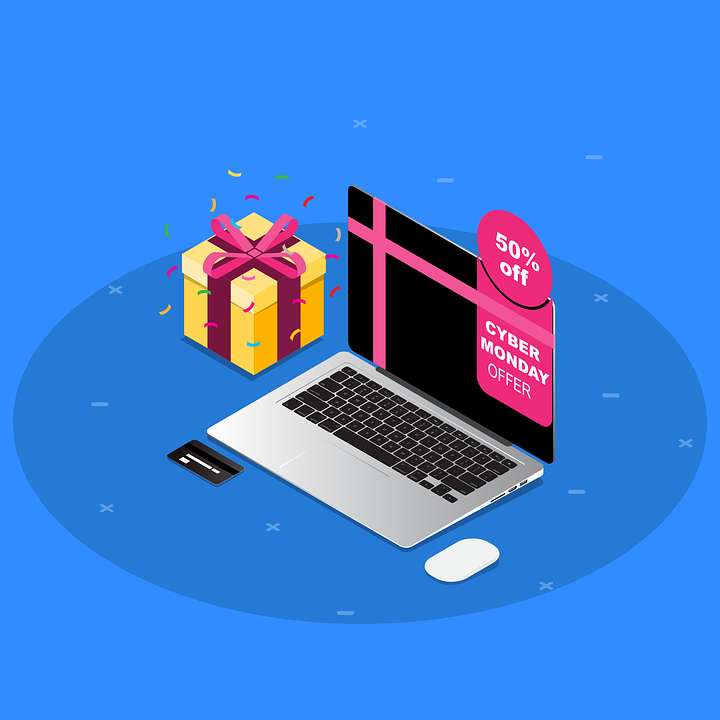 Just like Black Friday, some 2018 Cyber Monday advertisements are already available on-line. Once again, you have the opportunity to review multiple sites and determine the best place to purchase each item. Be aware, however, that online prices can change quickly. Hence, the price you see today may be different tomorrow! Finally, another great resource for Cyber Monday information is BlackFriday.com. Doesn’t that sound strange? Well, this website already has ads to share. Below, we have provided a sneak peak at some of our favorite online retailers. Of course, no surprise here. Amazon is the king of online shopping. In fact, Amazon’s Cyber Monday deals are not to be believed. You can buy headphones, board games, furniture, blenders and more! Check out their advertisement! Additionally, this online marketplace sells unique handcrafted and vintage items. Looking for something special? This may be your place. And, the Etsy Cyber Monday specials are great! Almost all the traditional brick and mortar stores also offer Cyber Monday specials (some are even hosting a “Cyber Week”.) Also, speciality and catalog stores offer holiday deals as well. As always, check your mailbox (both regular and email) and visit their sites to gain heads up on some great deals. Hopefully, you now have a better understanding of what is available to you should you plan to shop on this holiday weekend. Of course, there will be extended hours, discounted prices and lots and lots of people. If you are exhausted from shopping come Saturday or Sunday, it may be time to refuel with a lovely brunch. What a great way to conclude a holiday weekend. Finally, The Wilson Group wishes you a lovely Thanksgiving. Happy Shopping! Your real estate agent is the best source of information about the local community and real estate topics. Give The Wilson Group a call today at 954-818-6092 to learn more about local areas, discuss selling your home, or tour available homes for sale.